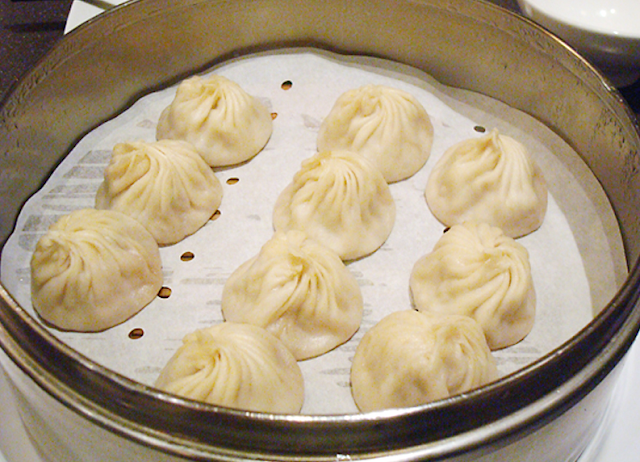 The world-famous Taiwanese restaurant Din Tai Fung has just opened their eagerly anticipated San Jose location. Now that it has been open for a couple weeks, you might not have to wait 4-5 hours to get a seat. What's the big deal? This restaurant has some of the best soup dumplings you'll find anywhere around the globe. The Pork XLB dumpling is a mandatory order--thousands are sold every day, maybe tens of thousands in some locations. Each dumpling is made by hand and is filled with a hearty broth and savory treat. The restaurant has been around since 1972 and has several locations throughout Asia. There are only four Din Tai Fung dumpling houses in the US: two in LA, one in Seattle, and now one in San Jose. It is a huge win that we scored this in the South Bay, they could have easily set up shop north of us. The 8,200 SQFT restaurant is located on the main floor of Valley Fair underneath the Dining Terrace and can seat up to 200 people. If you are willing to brave the wait times, it is well worth experiencing. Don't forget that the tables are reservation-only via Yelp! Only the bar is first-come-first-serve with a line to wait in.